By Imam Michael (“Mikal”) Saahir. Once called the most powerful Blackman in America, The Honorable Elijah Muhammad created an intellectual and spiritual legacy in millions of men and women, including Malcolm X, Imam W. Deen Mohammed, Minister Louis Farrakhan, and Muhammad Ali. Now explore “The Man Behind by the Men.” Words Make People Publishing, Inc., Paperback, 343 pages. “A highly significant study of the great influence that Elijah Muhammad had…”-Dr. Lawrence Mamiya, Paschal-Davis Professor of Religion and Africana Studies at Vassar College. 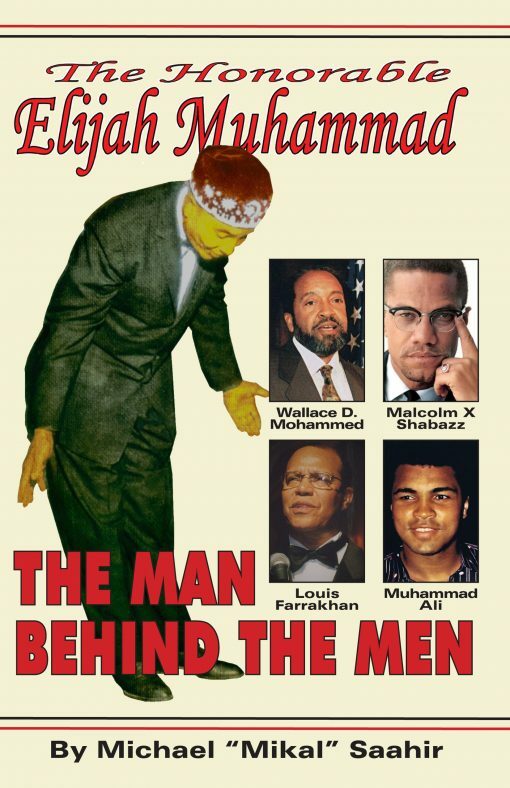 “A wonderful resource that illuminates a critical period in the history of Islam in America…[Saahir] advocates for a fair evaluation of the positive contributions the Nation of Islam made towards enhancing the dignity and autonomy of African-Americans at a time when their systematic oppression was extreme.”-Dr. Ingrid Mattson, President Islamic Society of North America.